Cheese puffs is a favourite for both children and adults. Therefor it is a guaranteed hit for the whole family. 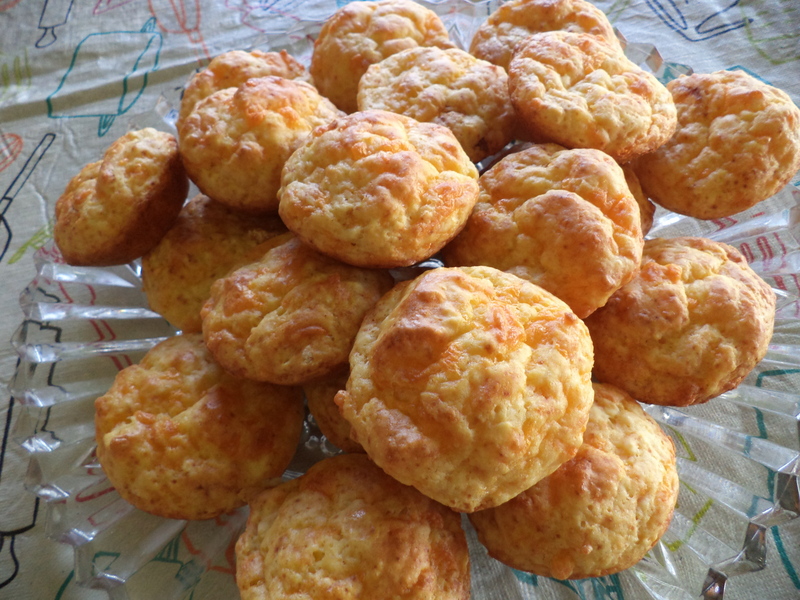 Cheese puffs is a very easy recipe and quick to prepare. Get your children involved and let them help you. They will love it! This recipe can very easily be made GLUTEN FREE. 2. Add the grated cheese. 3. Mix the egg and milk mixture and add. 4. Pour spoons full into patty tins. 5. Bake in a pre-heated oven a 180 degrees celcius for between 15 and 20 minutes. Serve the cheese puffs with butter and cheese, marmite or apricot jam. My favourite is a teaspoon full of cream. Nothing can beat the taste of the cream and jam combined. You have to try it! This really is very easy to make and is a light snack that everyone will enjoy, anytime of the day! My mother used to bake this for us when we were growing up and we couldn’t get enough of it! Now that I am married, I do the same. I love baking recipes my mother used to bake for us. My husband loves South African recipes and putting a smile on his face is worth while! If you are interested in purchasing my e-book, please click on this link and have a look. If you would rather purchase the paperback copy from Amazon, and go have a look!